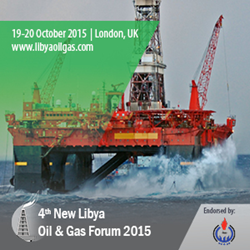 This year, at the 4th New Libya Oil & Gas 2015 Forum, organised by IRN on 19-21st in London under the official patronage of the National Oil Corporation of Libya, Mustafa Sanallah will give a keynote opening speech and the key NOC affiliate companies’ and joint ventures’ Chairmen will give an overview of operations and development plans in the country. The 3rd day of the Forum will feature two workshops, the first one on oil and gas regulations and Petroleum Law in Libya and the second one on physical security and risk management in Libya. During his first keynote speech in front of the oil and gas community at last year’s New Libya Oil & Gas 2014 Forum, Mustafa Sanallah, Chairman of the Libyan NOC, stated that production output is his highest priority. Indeed, a major oil company operating in the country just announced that their production in Libya has now exceeded the pre-revolution levels. On 22nd May, the same company announced an offshore discovery, something that proves the enormous role that Libya plays and is destined to play in the global oil industry. Amongst speakers will be the Chairman of Mellitah Oil & Gas (joint venture between ENI and NOC), the Head of Downstream Development, the Chairman of AGOCO (Arabian Gulf Oil Company), the Head of Exploration, the Head of Reserves, the Head of Planning, the Head of Cooperation, the Head of Technical Information and the Head of Marketing. The Former Chairman of the NOC Libya, Nuri Berruin will also be present at the Forum. International oil companies with long operations in the country such as the Shell will also be sharing their insights. Last year the Forum’s 300 senior level attendee delegation included Total, OMV, Statoil, Gazprom Neft, Petrobras, Hess Corporation Libya, ExxonMobil, Sonatrach Libya (SIPEX), Crosco, Technip, BB Energy Group, British Arab Commercial Bank, Shell International Upstream, Yokogawa Middle East & Africa, Occidental Libya Oil and Gas, Petrofac International Limited, Egyptian Drilling Company and GE Oil & Gas.